Texts © Martin Gayford and Nick Miller. 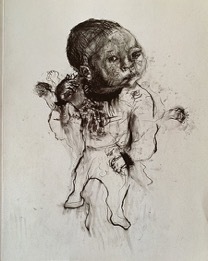 48pp Published by Art Space Gallery, 2019. 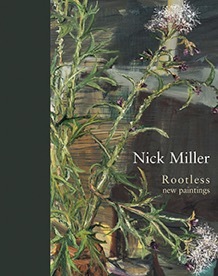 Texts © Colm Tóibín, Sean Rainbird and Nick Miller. 56pp Published by Art Space Gallery, 2016. Sitting Laois Arthouse portrait residency 2014. 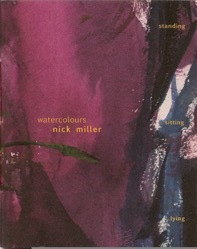 Texts © Nick Miller Pat Boran, Cathy Carmen. Claire O'Brien & Muireann Ni Chonaill. Full catalogue Available From Laois Arthouse, Stradbally, Co Laois. Essay © David Cohen. 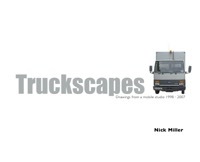 From "TRUCKSCAPES: Paintings"
Nick Miller: Drawing Life from Landscape Essay © Peter Plagens. Text © Patrick Hall from “genre” (2004) at the Butler Gallery, Kilkenny Castle, Ireland. 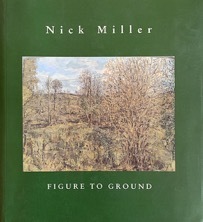 The Well Field © Catherine Marshall From "Figure to Ground"
Interview & Foreword © Patrick T Murphy & Nick Miller. East- West © Nick Miller. From "Chen + Miller : East - West". 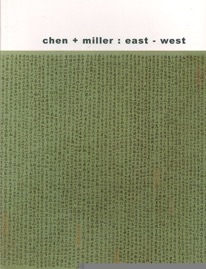 Chen + Miller : East - West (pdf). 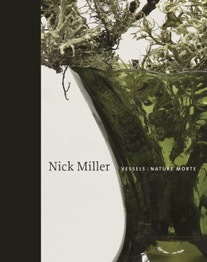 Published by Model Arts + Niland Gallery. 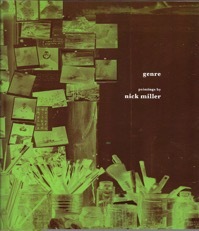 ISBN 0 9540352 2 4 © Nick Miller & Publisher. 2002.